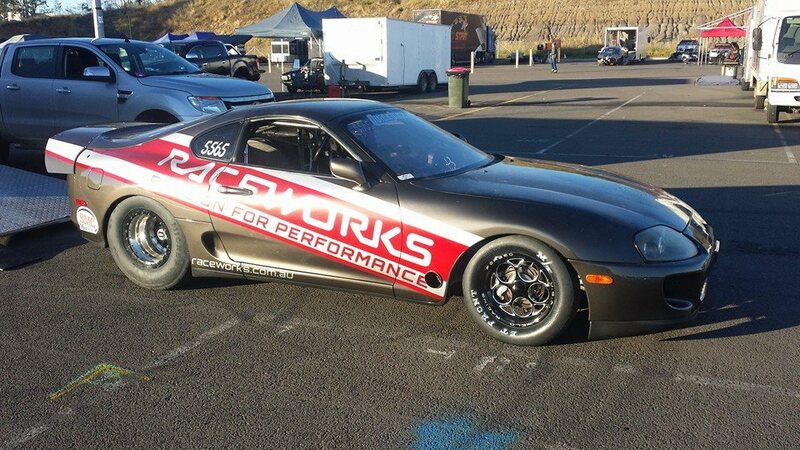 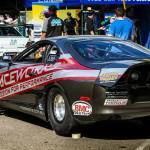 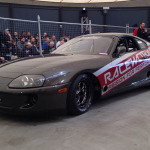 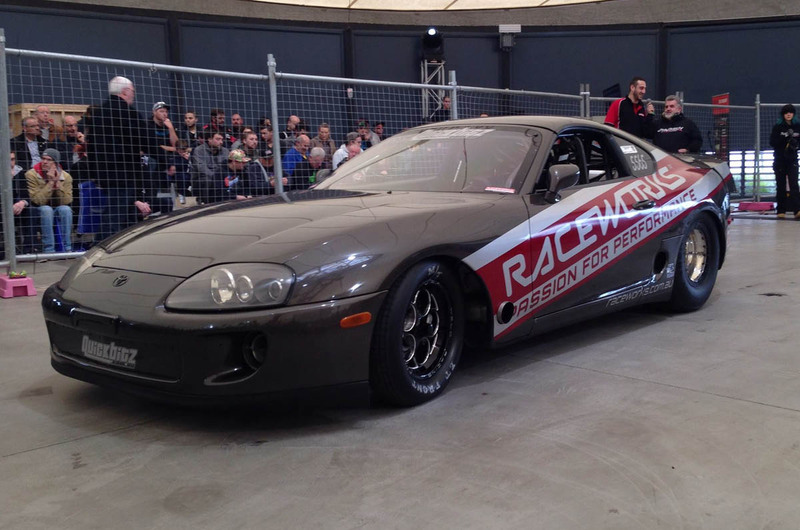 This is Michael Kalaitzakis’ Toyota Supra Mk4 which runs in Outlaw Radial class. 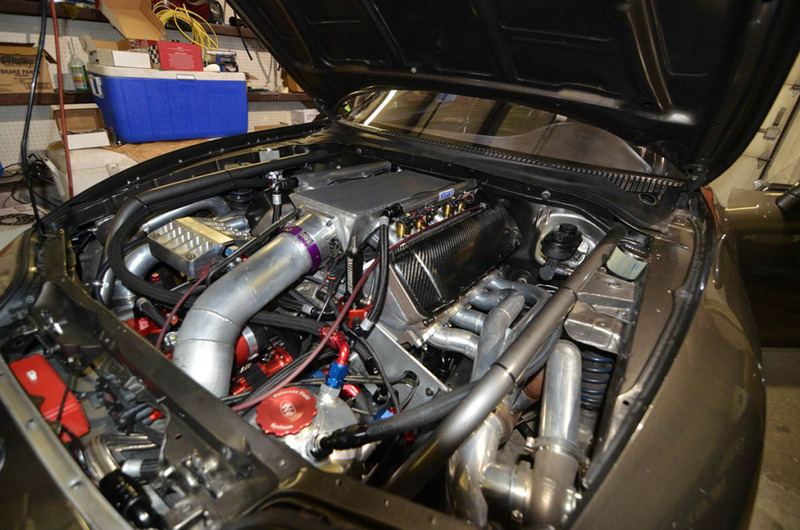 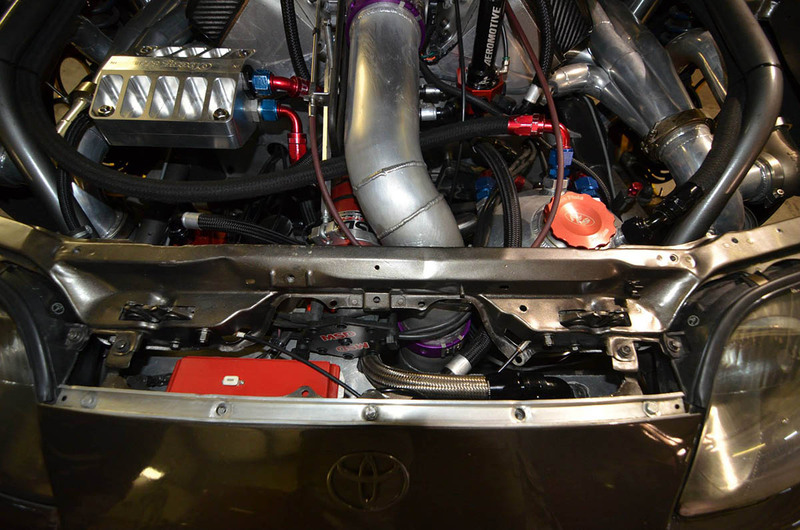 The Supra runs a 526 ci Chevy big-block V8 with two 91 mm turbochargers making around 22 psi of boost. 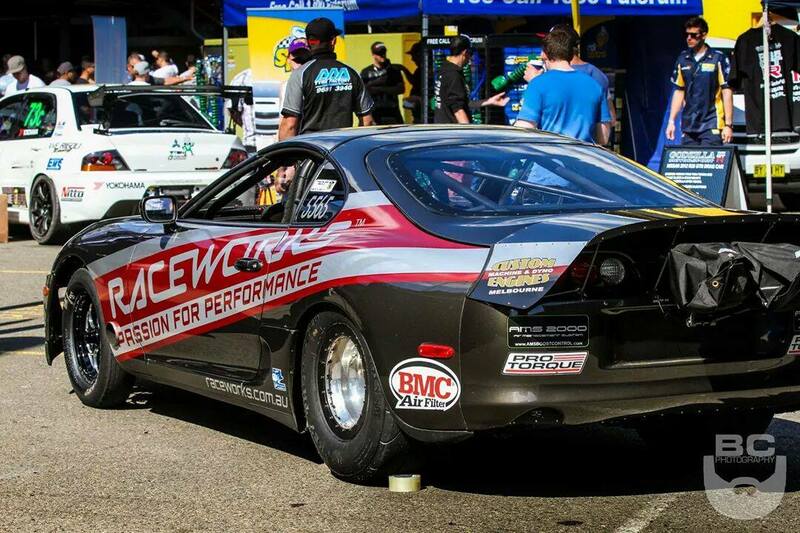 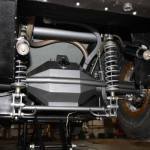 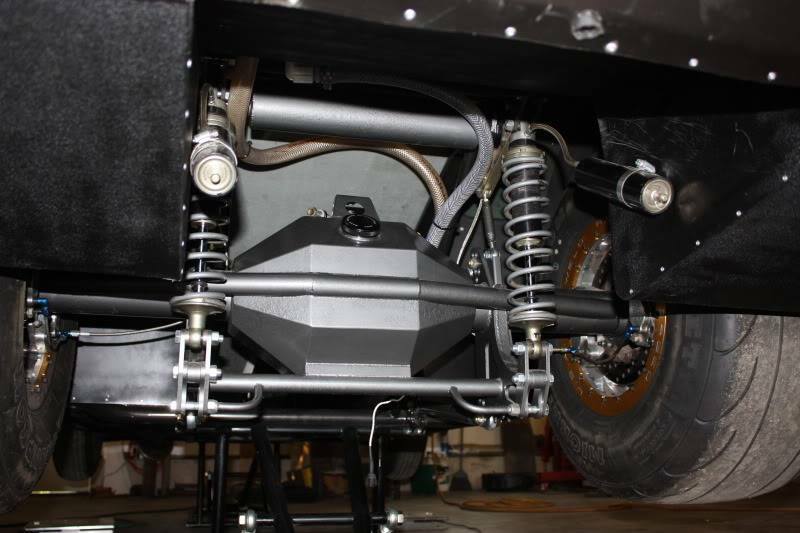 The videos below show it running a best of 7.04 at 223 mph.